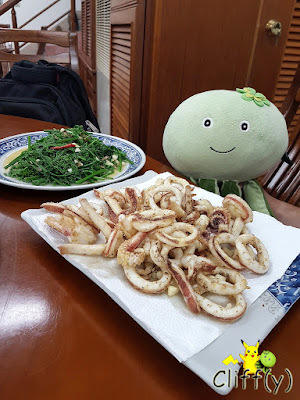 Such nice cuttlefish and pteridophyte dishes! 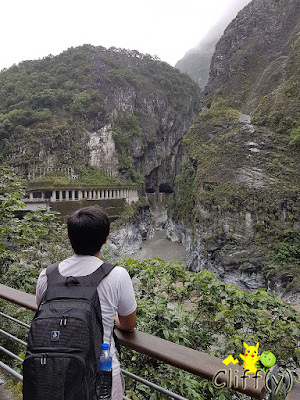 There aren't many eateries around the area outside Taroko National Park. During our 3D2N stay, my BFF and I had our dinner at the same restaurant, which isn't far from Li-Wu Hotel. We ordered two dishes each evening as the servers told us that they'd be more than enough for two people. Melon couldn't wait to dig in after a tiring trek. Anyway, for our friends who don't read Chinese, fret not. You can rely on the pictures and/or the English names of the dishes in the menu booklet. I shall begin this review with something that I enjoyed the least from the restaurant, but by no means awfully executed. The white meat was pretty juicy, but I felt that it could be bouncier and have a more gelatinous skin. The soy sauce with chili slices was adequately spicy. 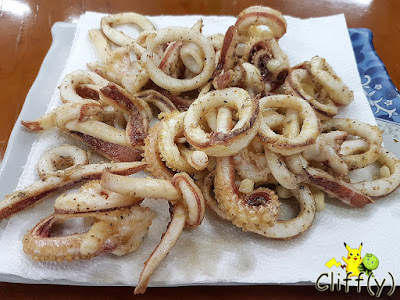 On the other hand, the deep-fried cuttlefish was so lovely that I almost wanted to order a second serving. Each piece was fresh, bouncy and not rubbery at all, sprinkled with the correct amount of salt and pepper. The result was a simple, yet awesome dish that was neither too salty nor overly peppery. I like bamboo shoots, but I don't get to eat them often. 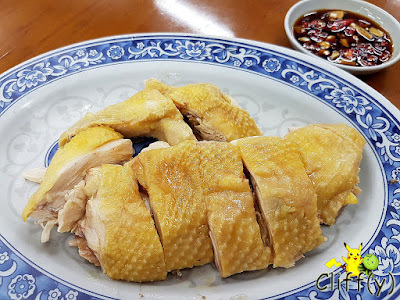 The restaurant cooked them well as they retained the crunchy texture and the natural juice. 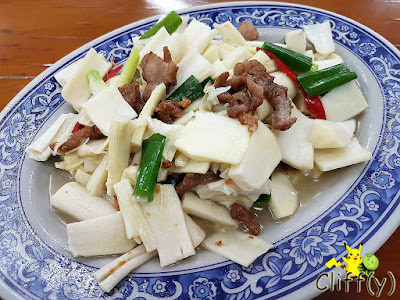 I believe the sliced pork was salted prior to pan-frying, imparting a savoury note to the dish. The menu uses such a difficult biological term for fern shoots. 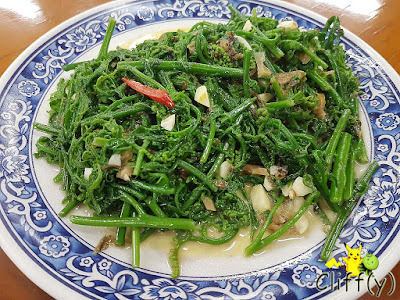 Anyway, I relished the leafy vegetables as they were crisp and cooked with lots of garlic, thus highly aromatic. I also appreciated the fact that it wasn't laden with salt, but tasty enough. As we were the only guests for the two evenings, service was fast. However, the servers could be more friendly, I guess. Nevertheless, we really enjoyed the dishes with a homely feel. Pika's advice: I reckon it'll be more worth it to go in a larger group, so that you can have more varieties.